Nigeria as a country is presently in a big mess. The present economic meltdown is really affecting so many businesses, and it's no longer funny. Now again, they are here to attack the social chatting apps. All telcos in Nigeria are complaining of losing from international calls and are afraid they may lose about N20TN and N30TN by the end of 2018. They are planning to block subscribers from accessing Over-The-Top services like Facebook, WhatsApp, Skype, Viber and the likes; they also added that they may be able to recover all their losses if they restrict us from these chatting apps. 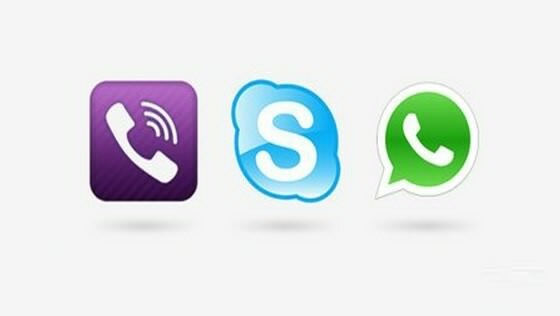 You will be restricted from making Voice and Video calls on Whatsapp, Facebook, Skype and other OTT apps. Uhmm! This is really a bad one though. International calls made up a critical part of their revenue because of Nigeria’s large expatriate and Diaspora population. But right now, subscribers have opted for alternative to international calls by using Skype, WhatsApp call, Facebook Video calls etc and its drastically affecting their revenue. WHAT WILL HAPPEN IF THEY AT LAST BLOCK US FROM SOCIAL CHATTING APPS? I just don't understand what is wrong with these people. They thought blocking us from making Video and Voice calls will help them recover their losses; #SMH. Anyway, these are advices for you, if they finally carried out these operations. ==> Stop buying data from any network that implements such a block. ==> For your data needs, switch to data-only networks like Smile, Ntel or Spectranet for all your data needs. Because they are data-only, they want you to make all the WhatsApp and Skype calls that you can make. Data is their only income. (Though you need a 4G LTE enabled smartphone or a Universal MIFI). ==> To use those data-only networks, their SIM cards work in compatible phones. Or just buy a mifi and put their SIM in it for use. (You can unlock the MIFI if you can't use it with another network). Be that as it may; how would you feel if you are blocked from using Voice and Video calls on your favorite Chatting apps? Please comment and Share. It can't possible.... What is the Reason? This people just wanna finish us. But God pass them. I will overcome. My phone is 3g.time for 4g lte enabled phone.